Now here's something that should be illegal, but is instead available with free shipping on Amazon. 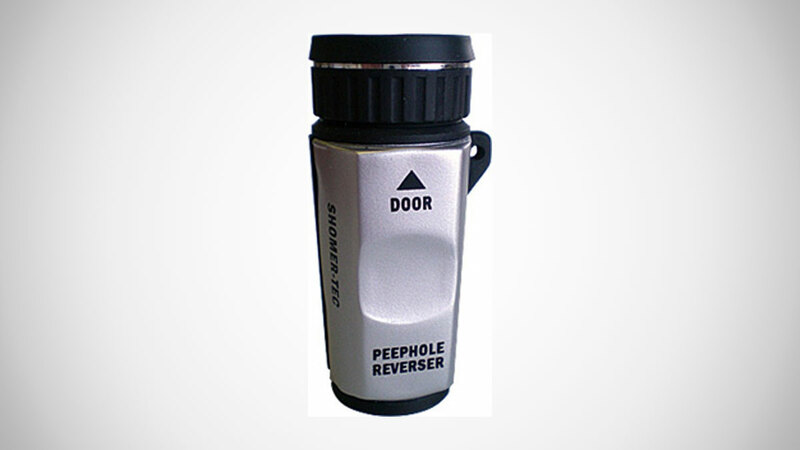 The reverse peephole viewer, used appropriately by law enforcement personnel and inappropriately by 99% of all others who get their hands on one, enables real-time viewing of the activities masked by closed doors. Provided the door has a peephole. Which I'm sure the ones covering all my favorite Victoria's Secret Angels' hotel rooms do. 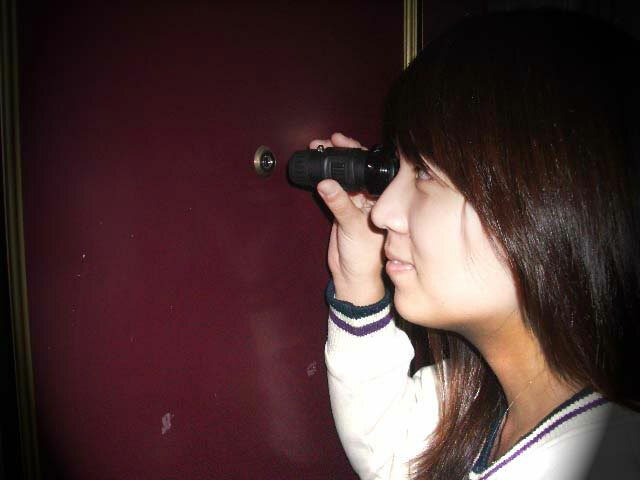 Reverse peephole viewers invade the privacy guarded by all major brands of peepholes on apartment, hotel, and residential doors. Their viewing range is plus/minus 15 degrees through doors, with a maximum depth view of 10 feet.